Steaks are a wonderful treat to be able to cook at home, and Steaks To Go by John Howie may be just the thing you need to make your Holiday and New Year celebration meals really special this year! At-home delivery of quality steak products is not a new concept by any stretch but Steaks To Go has completely changed customer expectations by offering two things they’re getting nowhere else – the largest selection of the same 7 tiers of steak that is offered at John Howie Steak, the Northwest’s premier steakhouse, and a quality assurance that is unrivaled as well. Ours is a one-of-a-kind, 7 tier program, including the 28 Day, 35 Day, 42 Day and 70 Day custom-aged USDA prime beef from Omaha, American Wagyu beef from Snake River Farms, Australian Wagyu beef from Sher Farms and the famous Japanese A5 Full Blood Wagyu beef from the Miyazaki or Kagoshima prefectures in Kyushu, Japan. Each steak is hand cut to our stringent specifications, carefully packaged and partnered with the perfect seasoning and cooking instructions. 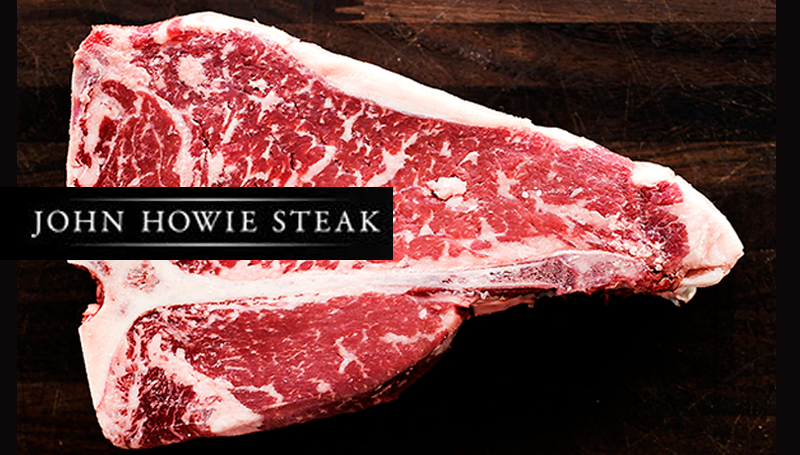 Another important differentiator is that the steaks from John Howie’s Steak To Go program are never frozen! “From our house to yours” is the Steak To Go philosophy – and it’s not just steaks, either! You can get a wonderful selection of handpicked sea salts and our own house blend steak seasoning to complement the beef. All in one place and all ready to ship out today to make your year-end celebrations even more memorable. Visit us at Steaks To Go by simply clicking here.